Thanks goes to The Broke and The Bookish for the ever amazing feature! Today the topic is new-to-me authors read in 2012. This one was kind of hard for me as this year I appeared to mostly be reading established favourite authors. But! Even so, I did manage to collect together some amazing authors... I'd love to know who would appear on your lists! 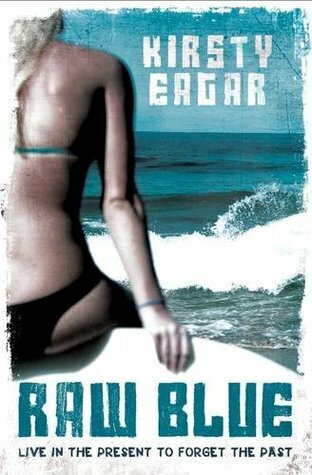 Kirsty Eagar - I'd heard good things about this Australian author, so I quickly picked up a copy of Raw Blue when I could. And Raw Blue absolutely blew me away. I wasn't expecting how emotionally involved I'd get into Carly and Ryan's story but I did. I thought it might just be this fun, summery beach read involving romance and surfing. And it ended up being not at all what I was expecting but so much more powerful. It's been months since I read Raw Blue and it still occupies my head and my heart. All the feels with this one. Hannah Harrington - This year, I've read two books by Hannah Harrington and I loved them both! I really loved Saving June. I liked the road trip aspect of the story as well as all the music. I thought it was fun watching two people get to know each other on this quest for answers. 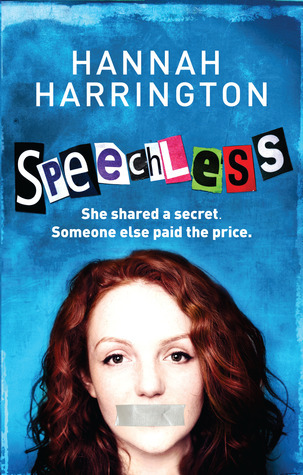 I liked and didn't like how there aren't many answers to why June committed suicide and this book was strong enough for me to be really excited to read Speechless. Now, Speechless I really loved. I read it and it made me think about the things that I say and don't say. It made me consider what doesn't need to be said and what does. I love that this book made me more aware of these things. Michele Jaffe - I picked up two books by Michele Jaffe this year and I really liked both of them. Both Rosebush and Ghost Flower were really well done psychological thrillers and I'm beginning to realise that psychological thrillers are my favourite genre of YA. I really want to read more of them. 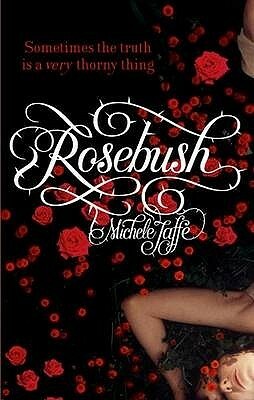 Especially if done by Michele Jaffe who is really skillful at the twists and turns and unexpected things happening! Cathy Hopkins - I've been aware of Cathy Hopkins' books for awhile, but it wasn't until this year that I really took notice of them and picked any of them up to read. It was a boxset at W H Smith that really prompted me to read her stuff. It was the first three books in the Million Dollar Mates series for £4, and as I'm on a mission to read and review more books by British authors I figured that it was too good of a deal to pass up. I'm so glad that I did buy them then, as I have stormed through all three of those, am reading the fourth book in the series at the moment and have also read and loved Love At Second Sight. 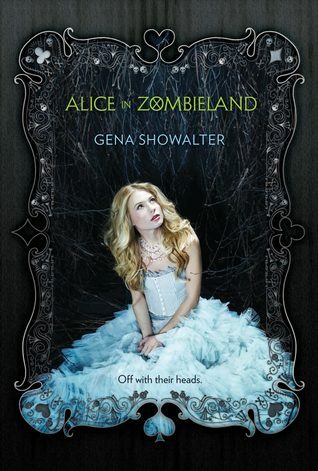 Gena Showalter - I've never read anything by Gena Showalter before, but I picked up Alice In Zombieland and I really loved the tension and chemistry between the two love interests. The book turned out to be very different than I expected but it didn't really matter. Because there was that great relationship there, I felt myself to be emotionally connected and excited by the story! Katie McGarry - Pushing the Limits is one of my favourite books of the year! I really loved Echo and Noah and their relationship together but also how well the dealt with their own personal issues as well. 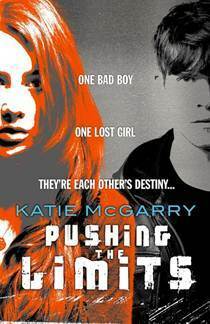 I'm hugely excited to read more by Katie McGarry, and especially that her next book will focus on another character from Pushing the Limits! Sarah Ockler - I'm such an idiot. I've heard such wonderful things about Sarah Ockler, and based on all of these wonderful things, I've got all three books by her sat on my shelves. But it was only a few months ago that I picked up Bittersweet. And oh, how much did I love it? 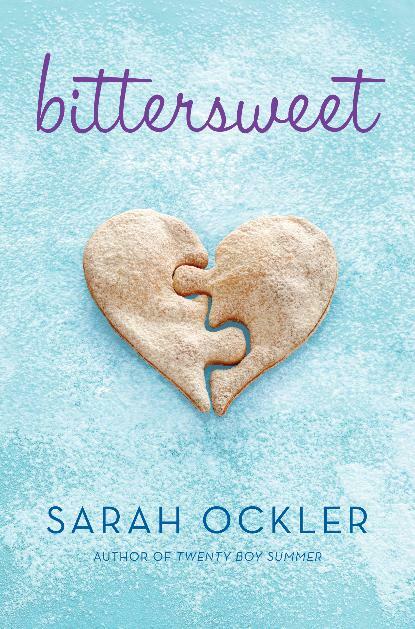 It's a contemporary YA romance involving hockey, cupcakes and figure skating. What's not to love?! I shall definitely be picking up the other books by Sarah sooner rather than later. Kendare Blake - Again, I probably would never have picked up Anna Dressed in Blood without the overwhelmingly positive reviews that I read from other book bloggers about it. But I did read it and afterwards I kicked myself for waiting so long! At least there isn't a huge wait for the sequel? Either way, I loved this very different ghost story and I'm looking forward to more from this author. Deb Caletti - Reading and loving a book by Deb Caletti this year made me quite excited? Why, you ask? Because it opens up Deb Caletti's whole backlist! I wasn't sure of this author before, having not heard very much about her. 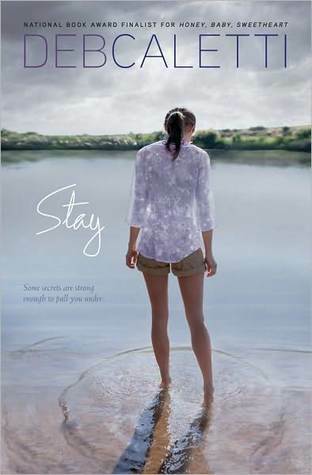 But I took a chance and bought Stay, about a girl in a psychologically abusive relationship. And I found it to be emotionally engaging and interesting and I would definitely pick up other books by the same author based on this book! Siobhan Dowd - Siobhan Dowd is just one of those authors. I really shouldn't have taken so long to read something by her, but in a way, I felt almost intimidated. This year I picked up A Swift Pure Cry and while I can't say that I 'enjoyed it' it was definitely a very powerful and beautiful book. I would have expected the bleakness of the book to put me off, but it didn't. I've recently checked out Solace of the Road from the library and I am eagerly anticipating the experience of reading more books by this hugely talented author. I'd love to know which new-to-you authors you discovered this year? I've got Pushing the Limits, but haven't read it yet - really excited for it! OMG. Someone else who has read Siobhan Dowd! I checked out Solace of the Road from my library awhile ago and really enjoyed it. I love her dark humor. Yes! I love Siobhan Dowd. I've recently finished Solace of the Road and loved it to bits. Looking out for her other books that I haven't read as yet now.. I also had Kendare Blake on my list! She knows how to write a gripping ghost story! I've not read Bad Kitty. 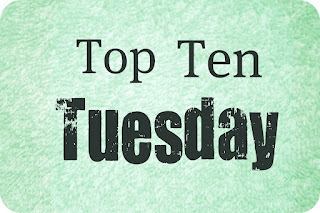 I've read Rosebush and Ghost Flower, both of which I really enjoyed..
Hannah Harrington and Katie McGarry made my list too! 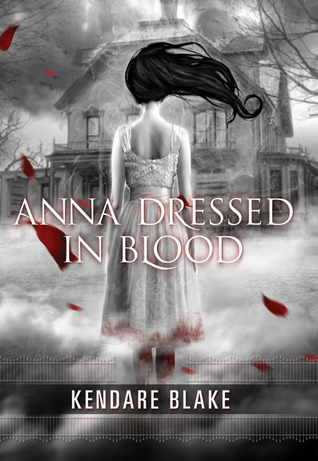 I loved Anna Dressed in Blood too, Kendare Blake is a brilliant author. Great list! Thanks Hollie :) Great to hear we had some overlap in our lists. 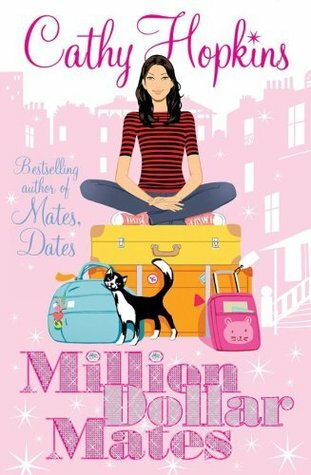 I really, really loved the books by Hannah Harrington and Katie McGarry that I read this year! Yes, yes, yes to Pushing the Limits and Katie McGarry. PtL was one of my favorite books this year too. So glad you liked it, too. I LOVED it :) Dying to read her next book now! I really want to read Alice in Zombieland <3 And Anna dressed in blood is also very high on my TBR pile.